It seems somewhat strange, that we haven’t caught onto the inherent trouble looming, when on one hand we do our best to replace human labor with automated contraptions, while at the same time doggedly stick to a socio-economic system, where the kingpin is made of the very thing we work so hard to replace: so-called jobs. It would seem ultimately impossible to have both. Something will have to give. Economists, since the dawn of the steam engine, have insisted that advances in technology doesn’t lead to unemployment. Jobs lost to automation, they argue, would always more than be made up for by creation of new jobs elsewhere. So far statistics have shown that to be true. Or rather, up until about a decade ago they did. Things have changed. Dramatically so. Since the Luddites, this debate has been ongoing with the doom-sayers on the loosing end of the argument. Of course H. G. Wells made a submission not long after that movement began in his “Time Machine” novella, in which the world – in some far future circa 800.000 AD – is split between Eloi and Morlocks. That vision, it would seem, can already be thoroughly dismissed. For starters, hard work seem to be the ever more exclusive domain of robots (bye bye Morlocks) and unless we bring some art, creativity and laughter back into our schools, the Eloi could well become extinct too. It would also seem he got the date wrong by about 788.000 years. But hey – the Brits never were as good as the Swiss in clock making. Luddites and Wells aside, what can be observed today is that increases in productivity and wealth creation are achieved with less and less new jobs being created “elsewhere”. But unlike what common intuition would suggest, the first victims of automation – the first inmates at Stupid-Jail – aren’t exclusively people with the least skills. Instead it is the huge number of people in the middle of the skill spectrum who are being trucked off and send “behind bars”. 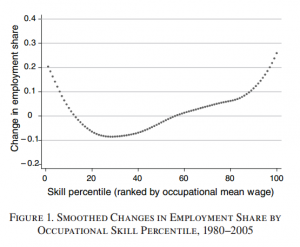 Research by David Autor and David Dorn  finds that the relationship between wages and and skills has recently become U-shaped. During the last decade, demand for people in the middle of the skill spectrum, has consistently fallen. As Erik Brynjolfson and Andrew McAfee puts it : “It can be easier to automate the work of a bookkeeper, bank teller or semi-skilled factory worker than a gardener, hairdresser or home health aide.” They point to a phenomenon known as “Moravec’s Paradox” . They argue that the U-shaped curve we see is testimony that robots are increasingly good at replicating certain types of human activity and outright lousy at others. At the low end of the skill scale, we’re still waiting for robots to come within a mile of doing what a six year old can in terms of perception, motor skills (especially fine motor skills), move about and navigate an ordinary (messy) world and carry on for an entire day at full blast on a bowl of cereal and an apple. Jobs that require medium skill levels are easier to automate than either of the extremes in the skill spectrum and in addition such jobs are plentiful and hence weigh in heavily on overall production costs. They are therefore attractive targets for cost-cutting automation. This trend is a ticking bomb under the foundations of our socio-economic structures: When the majority of people – those in the middle of the skill spectrum – are being sent to Stupid-Jail with no real hope of parole, general economic collapse and significant social unrest will follow. We will have succeeded in our drive to automate but in doing so, we will have passed a tipping point, beyond which century-old social and economic structures disintegrate. A complete redesign of our socio-economic model becomes necessary. The paradigms of wealth creation through human labor and – interlinked with that – the social and financial value and wellbeing of people being based on the concept of “having a job” and “earning an income”, will no longer serve. The kingpin breaks. Massive changes will be needed across almost every aspect of society: our educational systems, economic systems, social structures and norms and beyond. While we have identified several threats to our survival (From climate, across rogue asteroids to nuclear holocaust, among others), we have yet to fully recognize the importance of this threat if we do not fundamentally redefine our social and economic systems to match our progress in robotics and automation. Can we humans rise with this occasion to put shame to Mr. Wells “Morlock” prediction, while at the same time embrace the Eloi in each of us? … The dogmas of the quiet past are inadequate to the stormy present. The occasion is piled high with difficulty, and we must rise with the occasion. As our case is new, so we must think anew and act anew. We must disenthrall ourselves, and then we shall save our country. However, it is no longer a matter of saving a single country: this time, the occasion is about saving humanity. And the correct answer is unlikely to be “job creation”. 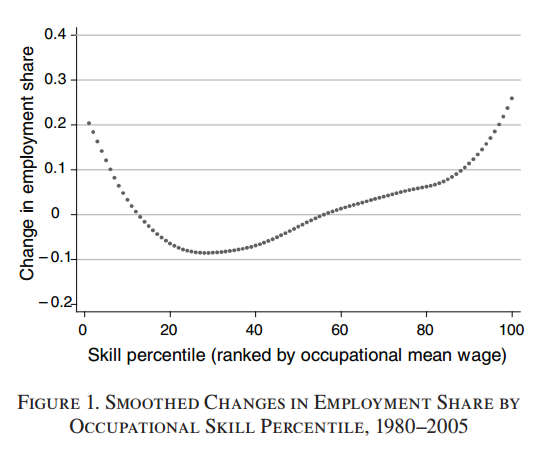 “The Skill Content of Jobs and The evolution of The Wage Structure. by Erik Brynjolfsson and Andrew McAfee – Digital Frontier Press, January 23, 2012. So why has Spain no experienced mass riots with 26% unemployment? 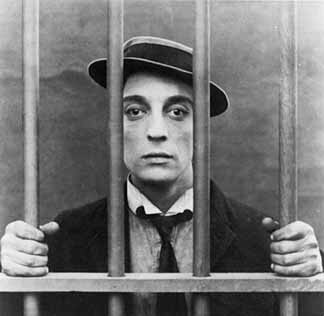 Because a big portion of the unemployed have not gone to Stupid-Jail, but simply transferred to the black economy….